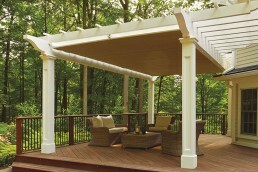 Most pergolas fall into the category of attached, or freestanding. 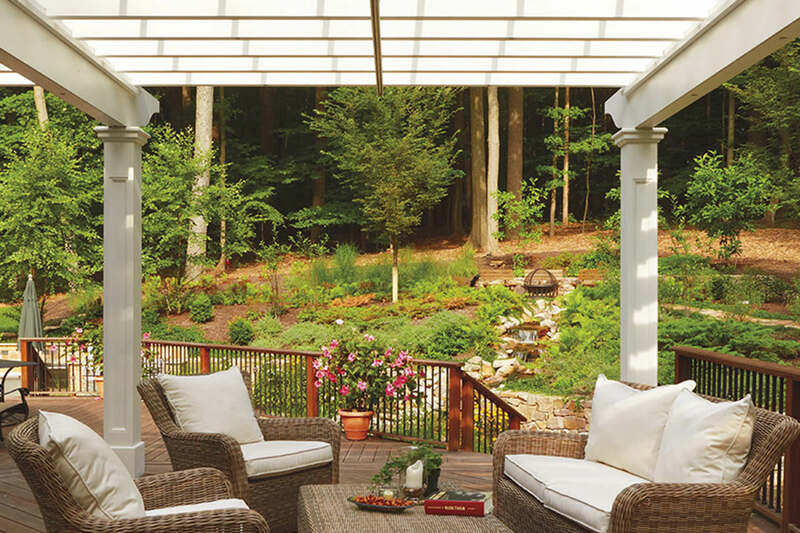 This example near Morris Plains, New Jersey is a rare and exceptionally well-designed hybrid. It’s very unusual, and in the hands of a bad designer, a recipe for aesthetic disaster. 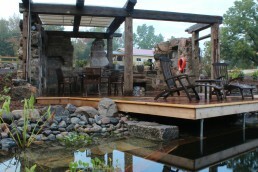 That is clearly not the case here as this Walpole Outdoors project is worthy of our highest compliments. Note how the bottom of the beam near the house lines up with the top of the small eave projecting from the wall. Also, the rafters extend in a cantilevered fashion to fill the gap that expands as the house wall goes around a corner that is not square. 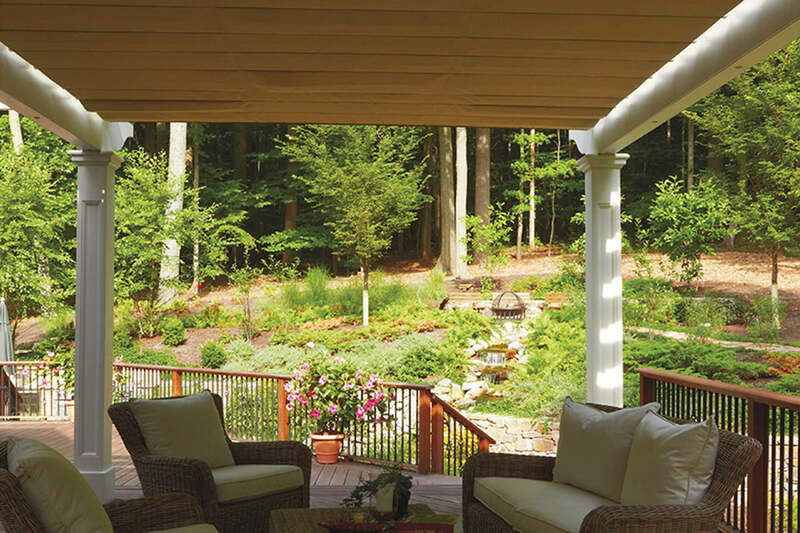 The result is a feature that compliments the home and adds to its architectural appeal. 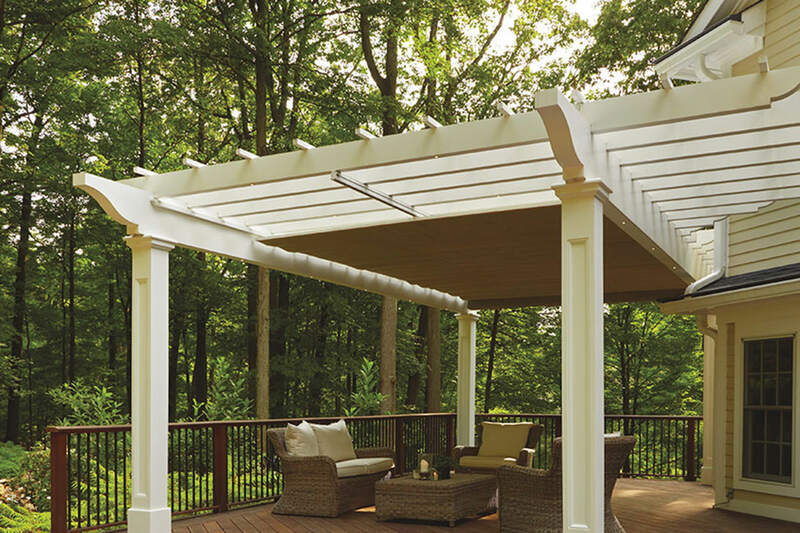 There is no valance on this retractable pergola canopy for a clean and crisp finish to the ends that won’t flap in the wind. 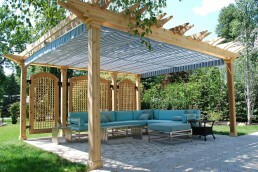 Sometimes valances can do that when located at the corner of a building that will magnify the wind. 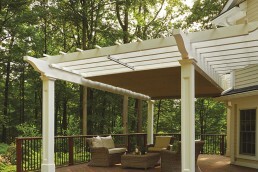 There is also a significantly reduced canopy drop, which is evident when the folds in the retracted fabric do not hang below the beams of the pergola. 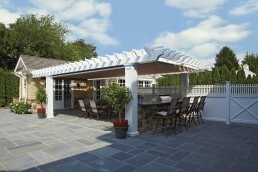 It makes for a more integrated and tidy retractable canopy ‘package’. 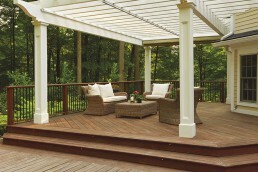 Most pergolas fall into the category of attached, or freestanding. This example near Morris Plains, New Jersey is a rare and exceptionally well designed hybrid. It’s very unusual, and in the hands of a bad designer, a recipe for aesthetic disaster. 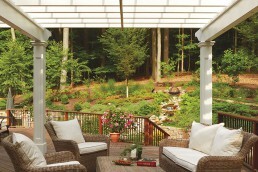 That is clearly not the case here as this Walpole Outdoors project is worthy of our highest compliments.